WASHINGTON — The State Department is warning hundreds of human rights activists, foreign government officials and businesspeople identified in leaked diplomatic cables of potential threats to their safety and has moved a handful of them to safer locations, administration officials said Thursday. The operation, which involves a team of 30 in Washington and embassies from Afghanistan to Zimbabwe, reflects the administration’s fear that the disclosure of cables obtained by the organization WikiLeaks has damaged American interests by exposing foreigners who supply valuable information to the United States. Administration officials said they were not aware of anyone who has been attacked or imprisoned as a direct result of information in the 2,700 cables that have been made public to date by WikiLeaks, The New York Times and several other publications, many with some names removed. But they caution that many dissidents are under constant harassment from their governments, so it is difficult to be certain of the cause of actions against them. The officials declined to discuss details about people contacted by the State Department in recent weeks, saying only that a few were relocated within their home countries and that a few others were moved abroad. The State Department is mainly concerned about the cables that have yet to be published or posted on Web sites — nearly 99 percent of the archive of 251,287 cables obtained by WikiLeaks. With cables continuing to trickle out, they said, protecting those identified will be a complex, delicate and long-term undertaking. The State Department said it had combed through a majority of the quarter-million cables and distributed many to embassies for review by diplomats there. Contrary to the administration’s initial fears, the fallout from the cables on the diplomatic corps itself has been manageable. The most visible casualty so far could be Gene A. Cretz, the ambassador to Libya, who was recalled from his post last month after his name appeared on a cable describing peculiar personal habits of the Libyan leader, Col. Muammar el-Qaddafi. While no decision has been made on Mr. Cretz’s future, officials said he was unlikely to return to Tripoli. In addition, one midlevel diplomat has been moved from his post in an undisclosed country. But other senior diplomats initially considered at risk — for example, the ambassador to Russia, John R. Beyrle, whose name was on cables critical of Prime Minister Vladimir V. Putin — appeared to have weathered the disclosures. There is anecdotal evidence that the disclosure of the cables has chilled daily contacts between human rights activists and diplomats. An American diplomat in Central Asia said recently that one Iranian contact, who met him on periodic trips outside Iran, told him he would no longer speak to him. Sarah Holewinski, executive director of the Campaign for Innocent Victims in Conflict, said people in Afghanistan and Pakistan had become more reluctant to speak to human rights investigators for fear that what they said might be made public. WikiLeaks came under fire from human rights organizations last July, after it released a large number of documents about the war in Afghanistan without removing the names of Afghan citizens who had assisted the American military. When it later released documents about the Iraq war, the group stripped names from the documents. A Pentagon spokesman, Maj. Chris Perrine, said Thursday that the military was not aware of any confirmed case of harm to anyone as a result of being named in the Afghan war documents. But he noted that the Taliban had said it would study the WikiLeaks documents to punish collaborators with the Americans. State Department officials believe that a wide range of foreigners who have spoken candidly to American diplomats could be at risk if publicly identified. For example, a businessman who spoke about official corruption, a gay person in a society intolerant of homosexuality or a high-ranking government official who criticized his bosses could face severe reprisals, the officials said. Human rights advocates share the State Department’s concern that many people could be at risk if cables become public without careful redaction. “There are definitely people named in the cables who would be very much endangered,” said Tom Malinowski, Washington director for Human Rights Watch. In one case, Mr. Malinowski said, the State Department asked Human Rights Watch to inform a person in a Middle Eastern country that his exchanges with American diplomats had been reported in a cable. In addition to The Times, The Guardian, Le Monde, El País and Der Spiegel have had the entire cable database for several months. The Norwegian newspaper Aftenposten said last month that it had obtained the entire collection, and newspapers in several other countries have obtained a selection of cables relating to their regions. 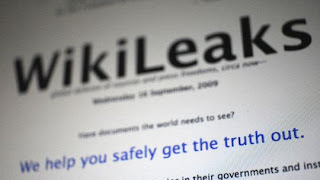 WikiLeaks’s founder, Julian Assange, has said the group will continue to release additional cables on its own Web site as well, though to date it has moved cautiously and has reproduced the redactions made by newspapers publishing the cables. Government officials are also worried that foreign intelligence services may be trying to acquire the cable collection, a development that would heighten concerns about the safety of those named in the documents. For human rights activists in this country, disclosures by WikiLeaks, which was founded in 2006, have been a decidedly mixed development. Amnesty International gave WikiLeaks an award in 2009 for its role in revealing human rights violations in Kenya. Human Rights Watch wrote to President Obama last month to urge the administration not to pursue a prosecution of WikiLeaks or Mr. Assange. But they are concerned that the cables could inflict their own kind of collateral damage, either by endangering diplomats’ sources or discouraging witnesses and victims of abuses from speaking to foreign supporters. Is There A Threat of Fascism in the USA? How long will America last? Gentleman Jack’s Hidden History - Anne Lister was a mountain climber, engineer, and brain surgery student—and she married a woman in 1834.